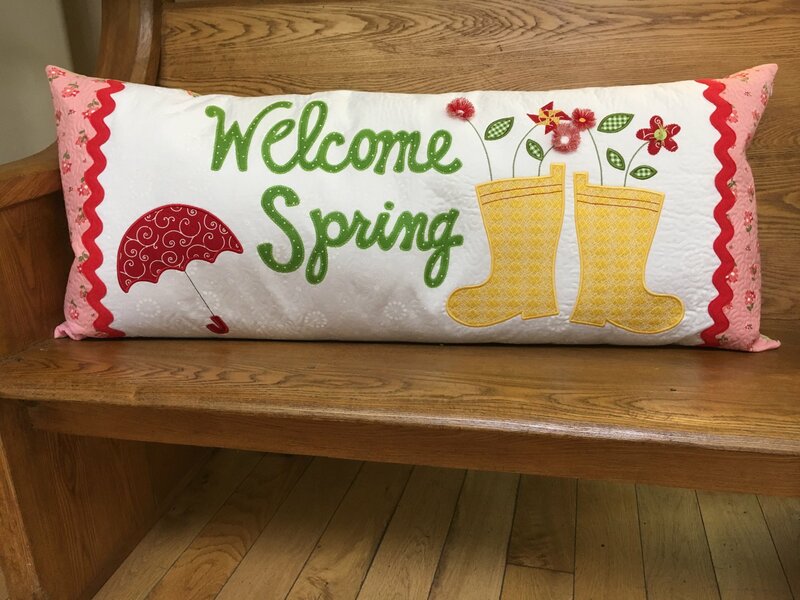 Stitch an adorable Welcome Spring Kimberbell Bench Pillow. We recommend Janome 12000 and 15000 owners take the Acufil Tool Class on January 25th to learn how to quilt your pillow background before taking this class! Acufil Tool Class is January 25th in Woodstock - See calendar! Materials Included: Embroidery CD, 2/3 yards background fabric, 2 yards Battilizer, 1/2 yard baking fabric and assorted applique fabrics!